Sigma Omicron Chapter at the University of Nebraska-Lincoln partnered with UNL Hillel for the 4th Annual Latke Feed to benefit the Food Bank of Lincoln on November 8, 2018. After the recent events in Pittsburgh, Psi Chapter at the University of Pittsburgh partnered with the Berman Hillel Jewish University Center for a Hanukkah Shabbat Dinner on December 7, 2018, to enlighten attendees about Jewish heritage and culture. 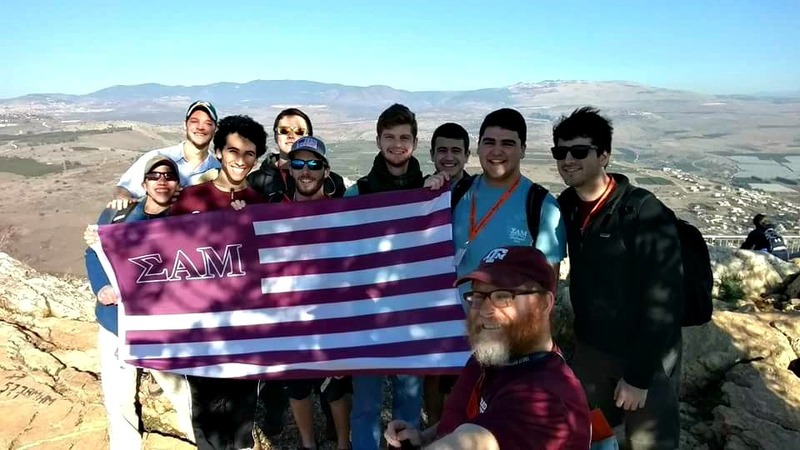 Sigma Theta Chapter at the University of Texas-Austin to partner with the Texas Hillel on February 1, 2019, to host Shabbat at Hillel, connecting SAM members with their Jewish heritage in a traditional, fun Shabbat experience. Here's an article about a program supported by the 2011-2012 Jewish Endeavors Grants.